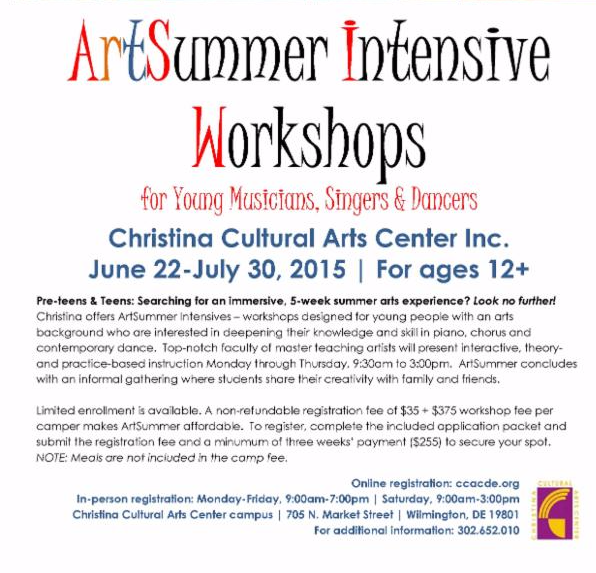 Spots are still available for young musicians, singers and dancers in this 5-week immersive summer workshop. Christina's top faculty lead theory- and practice-based instruction in piano, chorus and contemporary dance. Workshops begin June 22 and run Monday-Thursday, 9:30am to 3:00pm. Register online at ccacde.org or call 302.652.0101. 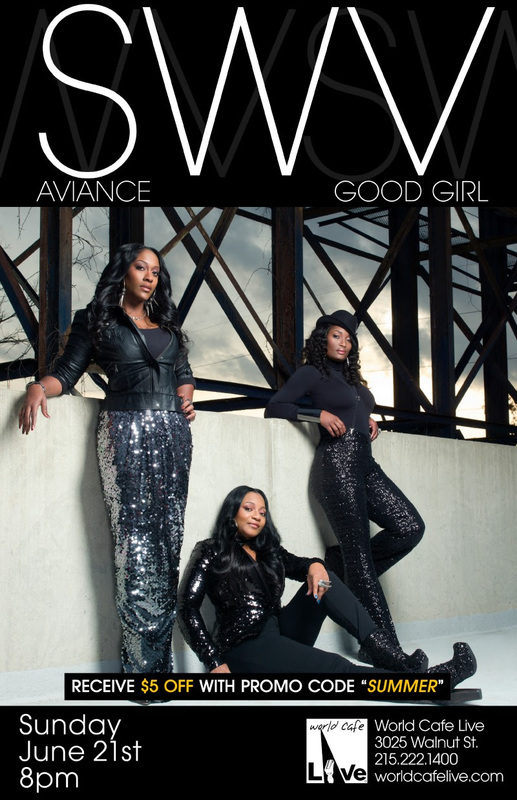 See SWV in concert Sunday, June 21, at 8:00pm. Christina fans & friends can enjoy a $5 ticket discount with a special online code! Simply click the TICKET LINK HERE and input the code "SUMMER" during checkout for $5 off your ticket purchase!